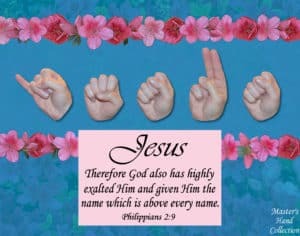 There are so many Bible verses about God’s hands! Each one reminds me that God is present in our lives, even when we can’t feel His loving touch. 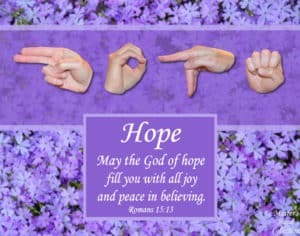 That truth has inspired me to create Master’s Hand Collection, a series of Christian artwork that uses sign language to depict God’s hand guiding us through life. As you might already suspect, I spend a great deal of time thinking about hands. How to pose, photograph, and place them in my artwork. Hands are a constant in my life. But it’s more than just hands, they are God’s hands that fill my mind. 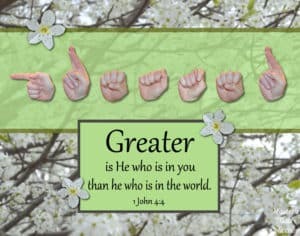 Every scripture I read about God’s hands inspires me to create and to be creative. Each one encourages me to delve deeper and deeper still into my relationship with the One True God. As I look back over my life I can see God’s hands guiding me to this moment in time, a time such as this. 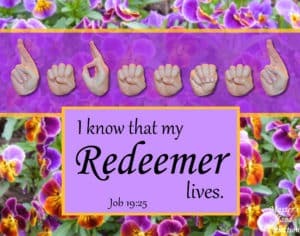 Knowing without a doubt that His hand is present in my life humbles me, brings me to my knees in grateful praise and makes me want to share His loving touch with everyone else. 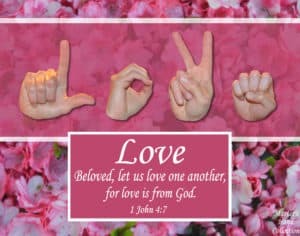 So, today I would like to share with you some of the many inspiring Bible verses about God’s hands that have helped me along life’s path and have inspired me in my artwork. 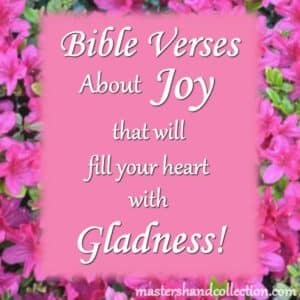 I pray that these scriptures will inspire and encourage your heart the same way that they have mine. We are in God’s hand! God’s hand is with us! Then the LORD stretched out His hand and touched my mouth, and the LORD said to me, “Behold, I have put My words in your mouth. Your right hand, O Lord, has dashed the enemy in pieces. 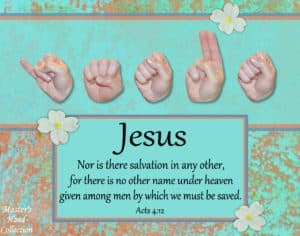 Jesus is at the Right Hand of God! My flesh also will rest in hope. who being the brightness of His glory and the express image of His person, and upholding all things by the word of His power, when He had by Himself purged our sins, sat down at the right hand of the Majesty on high, having become so much better than the angels, as He has by inheritance obtained a more excellent name than they. 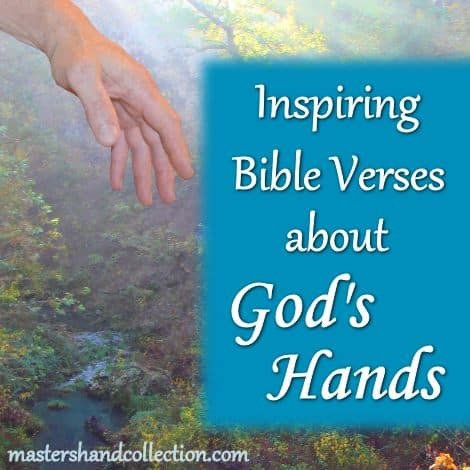 As you read these Inspiring Bible Verses about God’s hands, I pray that they spoke to your heart and reminded you of a time that His hands were “visible” in your life. And I truly hope that they have inspired you to seek a closer and more meaningful relationship with Him. May God’s loving touch be on you today and always! 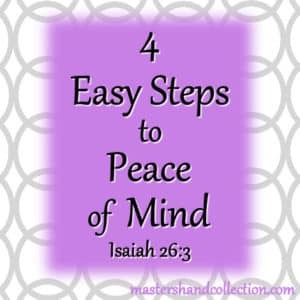 Please leave a comment below and let me know which of theses verses spoke to you today. Don’t Miss these Posts from Master’s Hand Collection! Are you interested in Sign Language? Get your Free copy of Signs of Faith today! If this post touched your heart please share it with your friends. Hi Laura. I’m so glad we have God’s hands in our lives every day. Thank you so much for your encouraging words! God bless! Hi Mary! I’m glad to “hear” that I’m not the only one. Thanks for your continued encouragement. Blessings to you!